Sachin-Jigar join Jeet Gannguli for an evocative soundtrack that taps into the vibrant energy of Rajasthani folk music. The team build tempo on “Shubh Din” and let Divya Kumar’s voice soar free on the stirring “Thare Vaaste”. 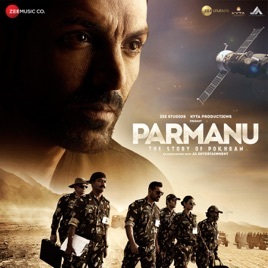 Kumar also sings on the melodramatic, shehnai-sampling “Kasumbi”, while Arijit Singh’s soothing voice merges with sarangi and flute on the bittersweet “Sapna”. Contemporary moments include the guitar ballad “Jitni Dafa”, while the soothing mid-tempo track “De De Jagah” blends guitar with accordion.